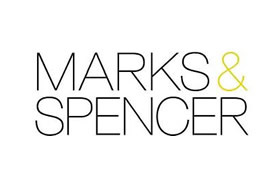 The Marie Keating Foundation is incredibly fortunate to have had a strong partnership with Marks & Spencer Ireland since 2002. Over the last 17 years, M&S employees and customers have generously raised more than €2 million for the Foundation to help people across Ireland prevent cancer, detect it at its earliest stages and provide support to those who are already touched by cancer. One of the key ways that the M&S funds have helped the Marie Keating Foundation since our partnership began is to support our mobile information units and nursing service. Thanks to their invaluable support, in 2017, our nursing team reached up to 243,694 people around Ireland, talking to them about how to prevent cancer and detect it early. M&S support means that the mobile information units can go to any school, workplace or community centre anywhere in Ireland, free of charge, to help raise cancer awareness. You can find out how to book a visit from the nursing team here. Comfort Fund Grants- Cancer patients and their families can face a financial crisis. Recent research shows the average extra spend due to cancer is €862 per month. Comfort Fund grants help ease this burden. Marks & Spencer helped the Marie Keating Foundation give out 530 Comfort Fund grants in 2016, helping struggling families pay for medical costs, hospital transport and household bills. Grants were paid to families from all over Ireland so that they could focus on their health rather than financial stress. Survive & Thrive– It is estimated that there are over 167,700 cancer survivors in Ireland. This is cause for great celebration but it is now recongised that cancer survivors can sometimes struggle to adjust to life after cancer. Thanks to the funds that M&S raised, the Foundation was able to run three 5-week Survive and Thrive courses in Cork, Dublin and Galway during 2016, as well as three 1-day survivorship courses in Cork, Dublin, and Sligo. M&S employees are very engaged with the partnership, taking part in events both in store and around the country. M&S Ireland employees at all levels of the organisation have been involved in the Foundation’s programme of activities. We are so grateful to all of them for their participation and support. The Marie Keating Foundation team and M&S work closely together to ensure that we are constantly innovating the charity partnership with novel events and initiatives and further nurturing the relationship more strategically to achieve real impact in the communities around the country where the Foundation works and where M&S stores are in operation. The Marie Keating Foundation would like to say an enormous thank you to all the employees and customers at M&S – words cannot properly express our gratitude for all you have done.